The Crate Paper Gather collection by Maggie Holmes, is still one of my favorites for fall layouts. The calendar says it's fall here, but our temperatures do not! But I don't let that stop me from documenting my favorite season! You can never go wrong with a wood grain paper for your background. It gives you a great pattern and color, but it's subtle enough not to overwhelm the rest of your layout. 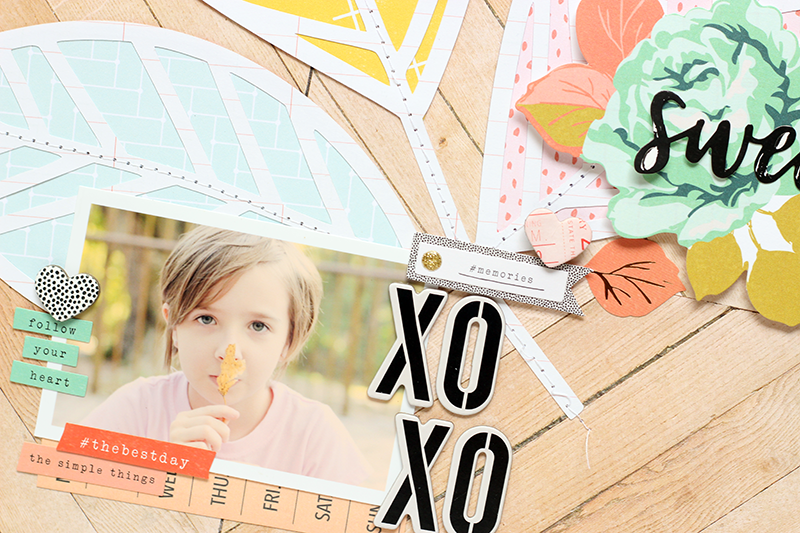 I had to have leaves, since the theme of my layout was fall, so I used a cut file from The Cut Shoppe Etsy store. Then, I backed the leaves with three different papers from the Gather collection. 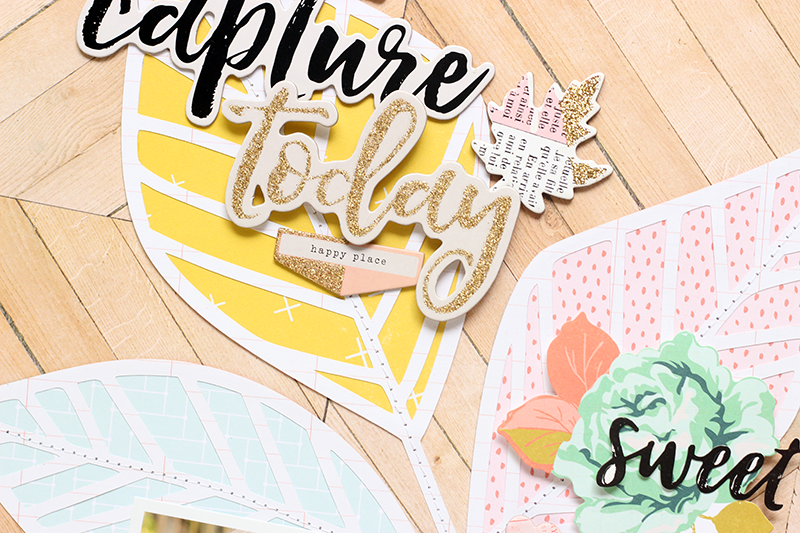 For the design of the layout, I used the leaves on the cut file to create a visual triangle. I placed my title at the top, an embellishment cluster to the center right and my photo at the bottom. I added interest to each area with a variety of embellishments from the collection. 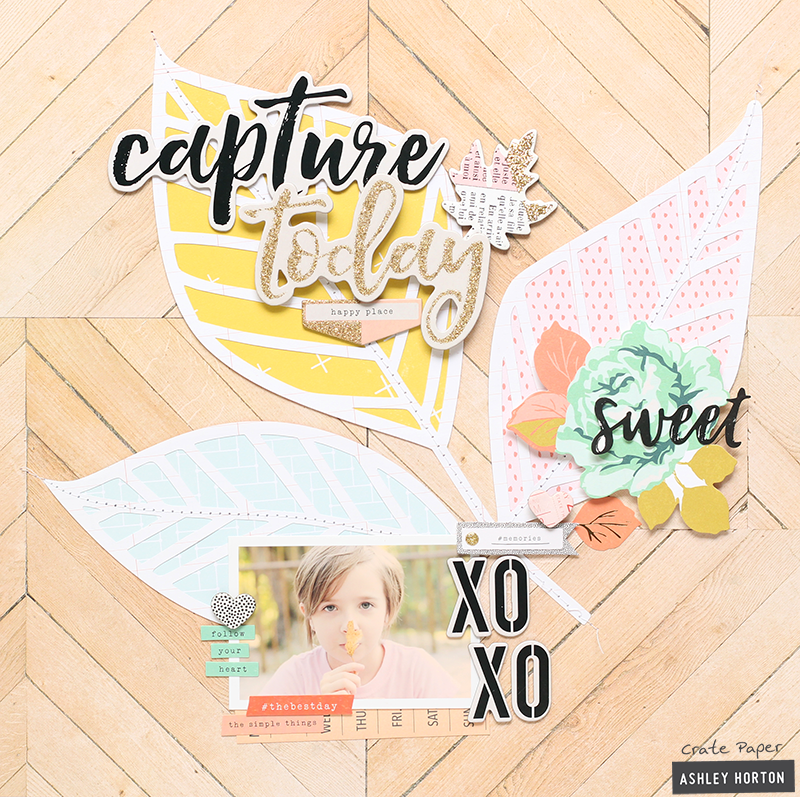 Whatever season it feels like where you are, you can always document your favorite with all of the Crate Paper collections, from Christmas to Halloween or special occasion to everyday!